Header photo by Andreas Trepte,www.photo-natur.de. Well my stars and garters! Why I never! I gave it no credence when I first read it. I would not spread such an unfounded rumor, except the more I think about it . . . I stumbled upon the rumor in my recent trip to Greece. While high in the Taygetus Mountains in the Mani I first heard the tale, but many a lie and many an eerie story have arisen in the remote regions of the land of Homer, where poetic licenses were first issued. Excuse me, that isn’t quite true. It is only that Patrick Leigh Fermor is such an excellent travel essayist that his book Mani: Travels in the Southern Peloponnesse made me think I was there. Why would Fermor repeat an unfounded and libelous tale from Ireland in remote Greece? Does he sense the strong similarities between the two nations that many Irish believe? There it is, you see, the possibility that Dale Connelly has seals as relatives. But it carries an aura of bona fides when I think about Dale: the ability to keep many balls in the air at once, his eagerness to clap his hands in applause, his sleek manner of passing through the world with barely a ripple, his migration from dry cultured Illinois to watery backwoods Minnesota, the innate ability to entertain the crowd, the gleam in the eye and the bark in the voice, the faint odor of fish. Well, not that last one. I have never actually met Dale, you see. The Queen of England has a royal seal. Why can’t Dale have one? Maybe Dale should do a double billing with Sparky at Como Zoo. Oops. Sparky is a sea Lion, not a seal. So maybe the rumor is false and I should not repeat it, Dale being more of a lion than a seal. Would you do a DNA test? What do you think might be found grafted onto your family tree? Morning all. I probably wouldn’t do a DNA test unless there was a very specific need- like hereditary disease possible for offspring or something like that. Because would it change my life? I’d still have to go into work in the morning, even if I could prove conclusively that I’m descended from Elinor of Aquitaine. Clyde, your imagination has been working overtime lately. What a hoot. Yes, I’d do a DNA test in a heartbeat. It could settle once and for all the question of whether my sister and I do, in fact, share the same father. Other than that, I’m just curious. The science around what all is contained in the DNA fascinates me. That and the advances being made in neuroscience. Great stuff. As you know, tim, my dad was a sailor. He questioned as soon as he learned that mom was pregnant with Randi whether or not he could be the father. That’s why my sister was born in Ireland, mom had moved back home to her mother as their marriage was on the brink of collapse. Also we don’t look alike – one tall, one short – and are really very different in so many ways. I realize that that doesn’t necessarily mean anything. Whether or not we share the same father makes no difference at this point in our lives, but it would explain a lot about our family’s dynamics as we were growing up. I guess I’d really like to know. And, Clyde, your drawing pencil is in fine form as well. Giving me a laugh today! Well, he could be a member of the sea wolf clan found on the coast of southern Chile or worse the walrus clan; the one depicted by Lewis Carroll-what a hideous beast! Oh yes, I think I would do a DNA test to be certain. Tricia – welcome to the Trail!! We have often teased husband thar he is part Marshwiggle. Could you please define this ethnicity? A creation of C. S. Lewis from the Narnia books. They are depressive guys who look mainly human but are sort of froggy. Husband has a morose sort of demeanor like the Marshwiggles. and excellently portrayed by Tom Baker of Dr. Who fame in the Wonderworks version of these stories! Whle C.S. Lewis was always popular and beloved, I have never warmed to him. I tried the “Chronicles…” after I read “Hobbit, et.al” and Lewis never appealed to me after Tolkien. Narnia was aimed at a younger audience, I think. Dad has always said to us kids that our real father is the police. He never gave any information about the maternal contribution to our DNA but I’m not about to do anything to contradict him as I’ve told my kids that, indeed, their father is the police. Indeed I would. In fact I recently did one through Ancestry.com for a specific reason–there was a persistent family rumor that a branch of the family is Jewish. I wanted to know if that is true, because in doing some geneology that branch of the family is difficult to track. Like people with a secret. And sure enough the DNA showed European Jewish DNA. Now I know what rock to lift because the immigrant in question fought in the American Revolution. There is a museum and Synagogue in Philadelphia which have information on these soldiers. You cannot imagine how many Michael Klein/Kline/Clines and Jacob Klein/Kline/Clines there have been in the world. Those are the names in question. There is a Jacob Klein/Kine/Cline on each side of the family. The spelling of the last name(s) are represented by all of the above varieties. Cool!!! Good luck with finding out more about Michael and Jacob! Any relation to Patsy or Kevin? Who would know–maybe through Adam and Eve Klein/Kline/Cline! My roommate and I are both planning on doing the “23andMe” test, when we have extra money. She is interested in finding out details of her Philippines heritage, in particular whether her family has Polynesian roots. I was told by my dentist that the shape of my teeth is associated with Native American heritage, so I’m very curious to find out if that’s the case. And, of course, I know nothing about my biological father and his background. They used to tell you if you had markers for diabetes and the like, but I think they stopped doing that, which is too bad for people like me who are missing a lot of family information. The story of the Conleeys reminds me of a reference question I got when I was working in the eastern suburbs. A woman called saying that her daughter was doing a class assignment on Selkies (no idea how to spell it, of course), and asked very hesitantly if I could help them find any information. Luckily, she’d gotten the one person in the county who’d had a preteen obsession with shapechangers and other legendary creatures, so I burbled at her for a while about them, and she was all amazement that anyone knew something so obscure. Story of my life…I might even have quoted “The Great Silkie of Sule Skerry” at her, I don’t quite remember, but if I did it was Jane Yolen’s fault. Have you seen “The Secret of Roan Inish”? It’s a great movie about the selkie legend. My dad’s family has always believed they are French, and not really Dutch. My dad was so surprised when we had him DNA tested and he came back as a typical Frieslander, which is a mixture of mainly English mixed with Scandinavian and Frankish. He had never read Beowulf, and was somewhat mollified when I told him that his ancestors were the people in that story. DNA test — don’t know, don’t care particularly at this point. There’s undoubtedly some weirdness grafted onto our family tree. I come from German ancestry. The family joke is we’re like hot dogs — 98% German and 2% unknown. Long ago when the mini-series “Roots” was on TV, my dad would get these mailings selling information about your family crest, etc. With an unusual maiden name like Ahl, we got tons of stuff like that. He finally ordered one and it was a very noble and dignified crest with griffins, eagles and arrows. Very cool. Another company was selling a set of etched bar glasses with your family name and crest. Dad decided he really needed this set of bar glasses to complete his good host persona and they were a good price as well, I’m assuming. Well, we received this beautiful set of etched bar glasses, but apparently they found a very different branch of the Ahl Family tree — more Bavarian, I believe. Each glass had the crest of a “squirrel on a mound, eating a nut complete.” Silliest looking thing you ever saw. We had great fun ribbing Dad about that one for decades, so of course our family mascot instantly became the squirrel. Any funny looking squirrel knick knack or kitchen gadget (squirrel nut cracker, anyone? We have a sold metal one).were coveted gifts in the family. Our parents passed away several years ago, but it’s still a joke in the family. My sister has one of those nutcrackers, too. Happy birthday, Joanne. Hope you have a grand day full of wonderful surprises. And have a great day, Joanne! Thank you all very much! We will be going to Renaissance Festival on Sunday as a family. Can’t wait! Haven’t been there in 25 years! That’ll be fun. Have a great time. I did do the dna test with 23andme. Nothing terribly remarkable–37% Scandinavian, (“28.5% broadly northern European) the rest a collection of various European markers including eastern and southern Europe tracing migration out of south and central Asia. And eastern Africa 50,000 years ago. But the surprise was United Kingdom/Ireldand and a bit of Finn. Oh, and 3% Neanderthal. My mother’s (no living male relatives to balance the research) mitochondrial the same as Luke the Evangelist, Marie Antoinette, Napoleon Bonaparte, Prince Philip, Susan Sarandon. Ok, you lost me at Saint Luke (our small family’s self-adopted patron saint). There is much scholarly debate about his actual identity/ existence, let alone any way to get a sample of his mitochondrial DNA. What on earth are they basing this claim on? I have enough genetics education to accept we can tell within a margin of error some general designations (given my heritage and appearance, I would expect to find some central Asian, Neanderthal, Slavic, Celtic, Scandinavian and Ashkenazi Jew along with the various Germanic groups we claim) . I’ve always loved the point in James Michener’s Hawaii where he lists off the contributing groups to the genes off the various characters who think of their bloodlines as “pure”. I might have some bear DNA spliced in there somewhere. It expresses itself when the weather gets cold and I get an urge to hibernate. Also I am rather greedy at buffet tables and potlucks, especially if there is cheese or chocolate. I love the drawing of bespectacled Uncle Flipper, Clyde. Good morning. A person in my family sent her DNA to a company that says they can determine the ancestry of people who send them a DNA sample. The results were puzzling and I doubt the accuracy of their findings. There is no way of knowing if a DNA test of that kind is accurate if you don’t have some other way of getting information about all of your ancestors. Clyde’s speculation about Dale’s ancestry might be as close to the truth as the information provided by a company like the one my family member used. Good work on giving us an unusual and fun blog entry this morning. What is the blue object with the seal’s nose poking out of it on Dale’s family seal? I’m sure it has some significance that is escaping me. O often have to explain my drawings. Husband had DNA testing done a couple of years ago, and we found, surprisingly, that although they had lived in southern Germany for centuries, genetically his family was mainly Belarus, with a strong component of Slovak Gypsy. The gypsy part was fascinating, as further research revealed that these gypsies were prone to glaucoma, and so is husband’s family. It was hard for the famnily to see themselves as slavic when they thought all along there were German. The Scots from his mother’s side also emerged in the testing. It does reveal a lot. Mine revealed more Irish and Scandinavian than I thought and much less German than was rumored. The Great Britain vein was as I thought. The real surprise was the trace of Central Asian! I also loved the 3% of Italian and Finn. HMMM. The old guys really got around even before rapid transit systems. Perhaps that trace of Central Asian means that Genghis Khan was one of your ancestors. He left his DNA wherever he invaded! 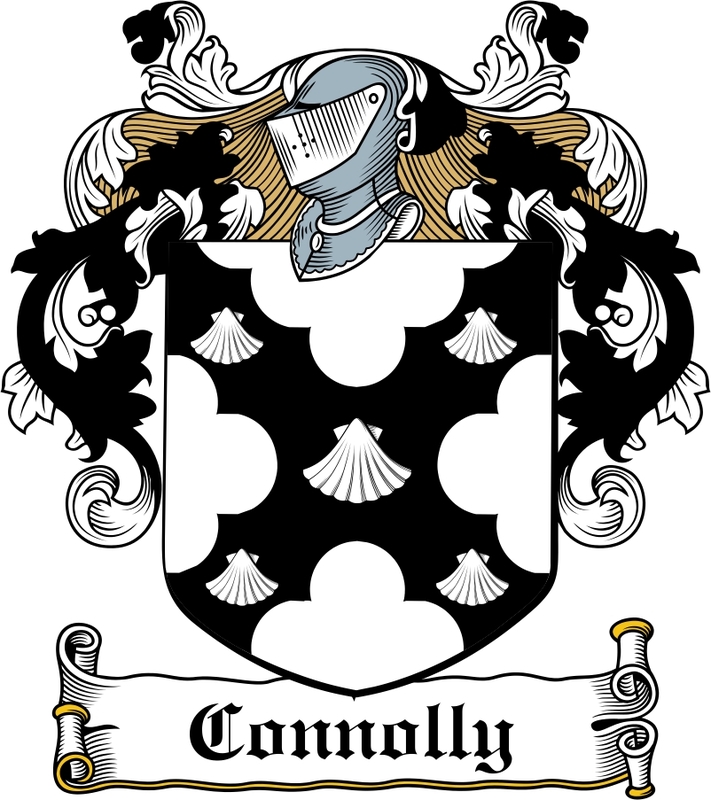 My maternal great grandmother’s family had a legitimate coat of arms emblazoned with a large and heavily claw-filled bear paw. Maybe I share DNA with Bart. Sorry about being up two days in a row, but Dale is exhausted he says from the fund drive week and was grateful to have something easy to use. I only sent it last evening, after my long day. I will go dark for awhile now. This did simply fall in my lap early this week. I love Fermor’s books for how they range over anything. He may the best student ever of European ethic groups and subgroups. He was talking about the Klepts, a famous warring band of Greek rebels or thieves, depending on one’s point of view, and he tossed in the thing about the Connelly’s, only because he knew it, I suppose. The idea for the seal drawing came from the photo Dale uses of himself on this sight. Did not want a caricature, just a vague reference. BTW Fermor’s life is fascinating. You may watn to read about him on say Wikipedia, which did have that story about the Connolly seals. OT: I was supposed to drive Sandy to the Cites for more medical stuff, but she was too exhausted. 10 days ago she had to have a heart study, wear-the-monitor test, the results of which they would get to us ASAP. So is no news good or bad news? Don’t worry about it, Clyde. I was feeling like a blog-hog in August, so I’m glad to share that title now! I have something written but have to take some photos tonight to go with it! No news is probably good news. If it didn’t look good they would be calling to hustle her into a hospital, I would suspect. A book to read, a question I can easily answer (yes, I would do this in a heartbeat if I could do it for very little- too many suspicions and not enough facts in the maternal line) and a reminder I have not seen “Secret of Roan Inish” in awhile. One of my touchstone movies. Fascinating post and comments and adorbs pictures, Clyde. I hadn’t thought of having DNA analyzed but now I’m a bit intrigued. I suspect it would be all boring English, Scottish and Dutch (based on some genealogy work that has been done). It would be fun to find some spice in there. I am in theory 7/8 Deutsch and 1/8 Scots Irish, which means Scots. (Scottish and Scotch are rejected as names by the Scots.) But my father’s father is unknown but by circumstances almost certainly also Deutsch. But one never knows. So if it were very very low cost, I would love to do it. Then I would maybe ask members of a family in central WI whose name has popped up in an odd way, to maybe do a DNA match. Through Ancestry.com it cost $79,00–on sale of course. usually $99. I would, if it was affordable, just out of curiosity about the genealogy part – would like to know how much is there besides the Norwegian/Swedish… how much Welsh or whatever? OT: regarding yesterday – I would love to have a buffet or “hoosier” made from birch. We have birch floors in our house and they are absolutely gorgeous once we got them redone, much lighter and prettier. Thanks for a couple of nice posts, Clyde. Have always wanted a hoosier. My bungalow love demands built-ins in the dining room, though. Yes, Clyde, I too have enjoyed your posts and the conversations they have generated. And I appreciate any and all of the “blog hog” and/or occasional posts…no need to apologize. ever. I took a quick look at information available on the internet about using DNA to determine ancestry My suspicion about the accuracy of this work was confirmed. There is not enough information about the DNA of our ancestors to pin down which groups we came from by using our DNA. Apparently the people doing this work can compare your DNA to data on DNA from all over the world and claim that they have found your ancestry. However, they don’t know much about the exact DNA make up of well defined heritages and are only guessing when they say that they do. I am one of those boring types who takes a scientific approach regarding various things. I don’t want to spoil any ones fun. My family member had fun looking at the result she got from sending in her DNA. I kept my opinion about it’s accuracy to myself. Maybe I should have done the same today. The one I used gave ranges and explanations about how they do it. It was close enough to family stories to fit the facts as I know them. But really, we just cannot know some things. Grain of salt and all that. Anything by Gordon Bok is special. Thanks, Linda. I will submit two guest posts this weekend. im an irish indian polock with the mutt effect of mixed other stuff like the scotch irish french canadian welsh and my kids got a heavy does of german and dutch or german and german depending on the mom. i used to get suspected of being chinese as a kid because of almond shaped eyes. i was in china with a colleague one time and he commented on how they all had the chinese eyes . i told him they thought we all had round eyes. he hadn’t thought of that before. Happy Birthday to our own Donna! Happy birthday to our dear Trail Leader!!!! Happy sixtieth birthday, Dale. Hope you have a fabulous day and decade. Thank you baboons for the birthday wishes, and a salute to Donna and Joanne who also celebrate in early October – the very best time of the very best month of the year, and so it is without question when the very best people are born! . Nancy and I celebrated by going to this phenomenal show by Theater Latte Da, one which I heartily recommend! Going to see it on Thursday. My choir director HIGHLY recommended it and my friend could only get 3 tickets. I’ve never seen Sweeney Todd in any form. Can’t wait! Happy Sunday, Baboons. I just sent in a guest post. Husband is pickling 10 pounds of peppers today-half hot, half sweet. I also just sent a guest post.